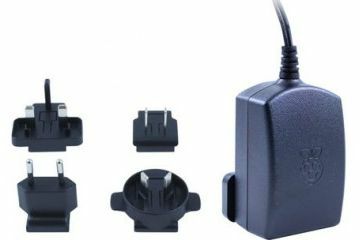 This Pi Foundation approved power supply unit (PSU) for the Pi 3. The power supply is an integrated cable and microUSB plug. 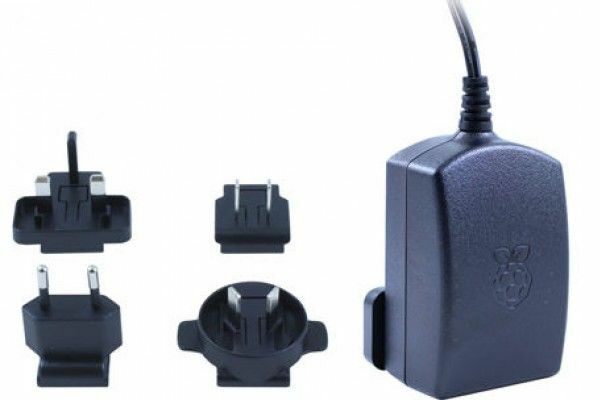 There are also four interchangeable mains adaptors — you can use the PSU in the UK, Europe, Australia and the United States.